Today’s Q&A is with novelist Tracy DeBrincat, author of Hollywood Buckaroo. DeBrincat’s short stories and poetry have been published widely in journals, including Another Chicago Magazine, Laurel Review, New South, North Dakota Quarterly, Phantasmagoria, The Pinch, The Southern Anthology, Willow Review, and Zyzzyva. Among other info, DeBrincat talks about her long and winding path of writing the book and getting published. So many authors have anecdotes about being in elementary school and writing some transgressive little homework assignment that got them negative attention from the teacher or principal or their classmates, after which they were punished or shunned or publicly humiliated, and then they were hooked for life, so I’ll go with that. What is Hollywood Buckaroo about? In what ways is it based on personal experience? It’s about a wannabe filmmaker, Sander Sanderson, whose personal and professional lives are in the toilet until he wangles an opportunity to direct a hamburger commercial in the wild west town of Buckaroo, where love, desert locals, an eccentric pop star, Hells Angels, and Mother Nature intervene. Basically, it’s a fictional love letter to an experience I had in a place that I adored: Pioneertown, California. I worked on a movie there when my life was in the dumper and fell in love with the place, a guy, the desert, the whole shmear. It’s a Hollywood tale told from the fringes of the fringe. Why did you write Hollywood Buckaroo? To prove to myself that I could. 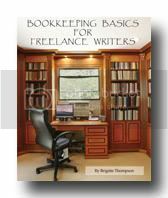 My process was to make writing and publishing it as difficult as possible. First, I wrote it from a dog’s point of view. Then with bits of screenplay thrown in. Then I made it large and unwieldy with secondary character plots that were interesting for a while but went nowhere. Then I revised it for a few years. Sent it out to agents, got an agent, but it went nowhere. Nursed a broken heart, sucked it up, and revised it for a few more years. Sent it out some more, got positive feedback from agents who weren’t really certain how to market it. Became completely heartbroken and considered self-publishing. But first sent it out to small press contests, of which it won two. Ultimately, it received the inaugural Big Moose Prize and was published by Black Lawrence Press in October 2012. What was your favorite part of writing Hollywood Buckaroo? The greatest challenge? I wrote lots of the novel in and around Pioneertown, and my favorite part of writing was drinking whiskey at the end of the day and driving around in the desert at night with no headlights on. My greatest challenge was developing the story’s focus and weaving its themes throughout the subplot. In what ways was writing Hollywood Buckaroo different from writing poetry? From your other creative projects? Are their any similarities? I have two short story collections (Moon Is Cotton & She Laugh All Night/Subito Press and Troglodyte/upcoming from Elixir Press) that were also contest winners. I find writing poetry and short stories satisfying in the short term, and tend to work on and submit those projects while working on a novel. Completing shorter projects keeps me emotionally committed to racking up decades on a longer one. Additional advice for fiction writers? Don’t do what I do. Find your own excruciating path and enjoy it to the hilt. I wish I knew the magic formula then, but at least I know it now. 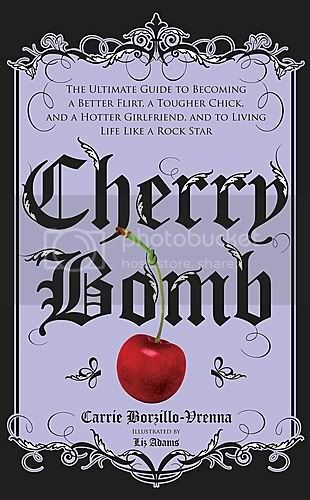 Author Q&A: Carrie Borzillo-Vrenna, "Cherry Bomb"